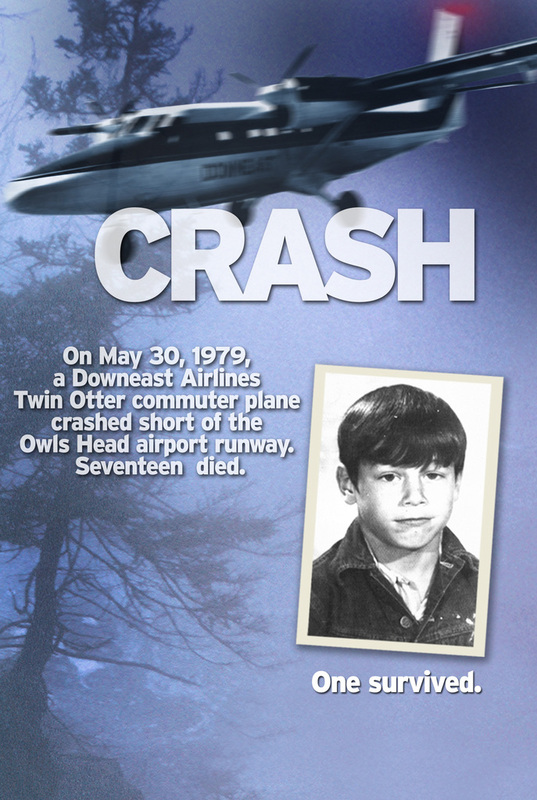 OWLS HEAD, Maine — Thirty years after the gray ghost of spring snatched Downeast Airlines Flight 46 from the sky on a foggy night, sole survivor John McCafferty still has dreams about the crash that claimed the lives of the plane’s two pilots and 15 passengers. 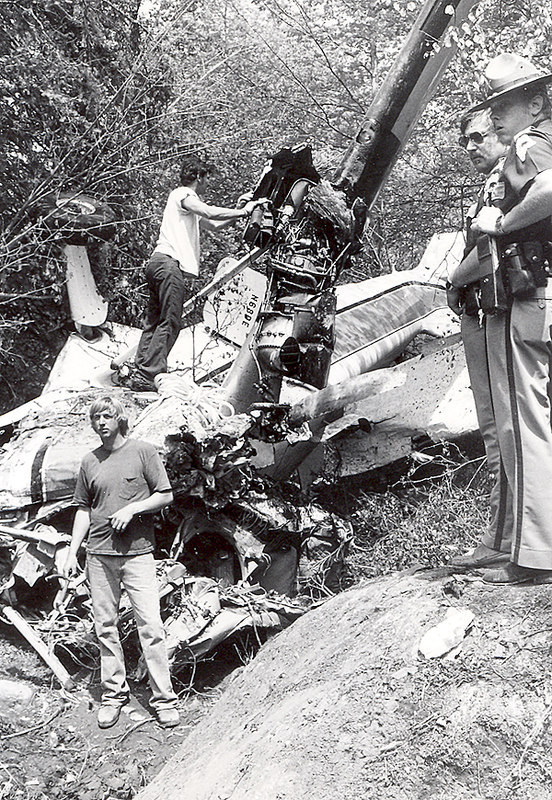 Now 46, the Searsmont resident was 16 years old when he boarded the DeHavilland Twin Otter propjet in Boston the night of May 30, 1979, for a one-hour fight to Knox County Regional Airport in Owls Head. McCafferty was returning from Florida where he had traveled with friends earlier that year. When his pals decided to move on to Texas, McCafferty headed for home. 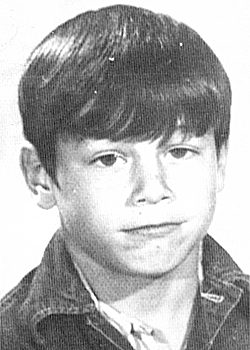 His parents were waiting for him at the terminal in Owls Head that night. They saw him in the hospital after he lived through the worst commercial aviation disaster in Maine history, according to the Federal Aviation Administration. Downeast 46 took off from Boston in a rainstorm and pilots James Merryman and George Hines encountered thick fog when they reached the airport at Owls Head. They had landed in soupy weather before and continued their normal approach. At approximately 9 p.m., air traffic controllers lost radio contact with Downeast 46. 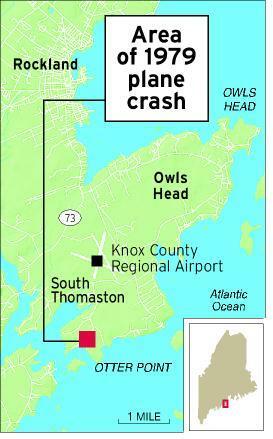 The approaching plane crashed into a ledge in a heavily wooded area 1.2 miles short of the runway. 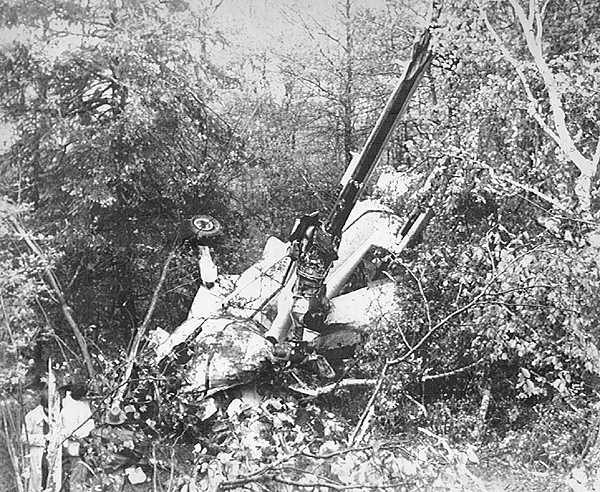 From his seat at the rear of the plane McCafferty got a glimpse of trees through the fog seconds before the crash. He tucked his head in his lap and waited for impact. He suffered a broken arm and leg and his scalp was ripped from his forehead, but he was alive and managed to crawl from the wreckage. The lives of the 17 others who left Boston with him were ended. Although the National Transportation Safety Board investigation attributed the crash to pilot error, the management policies of Downeast Airlines also were cited as contributing factors. 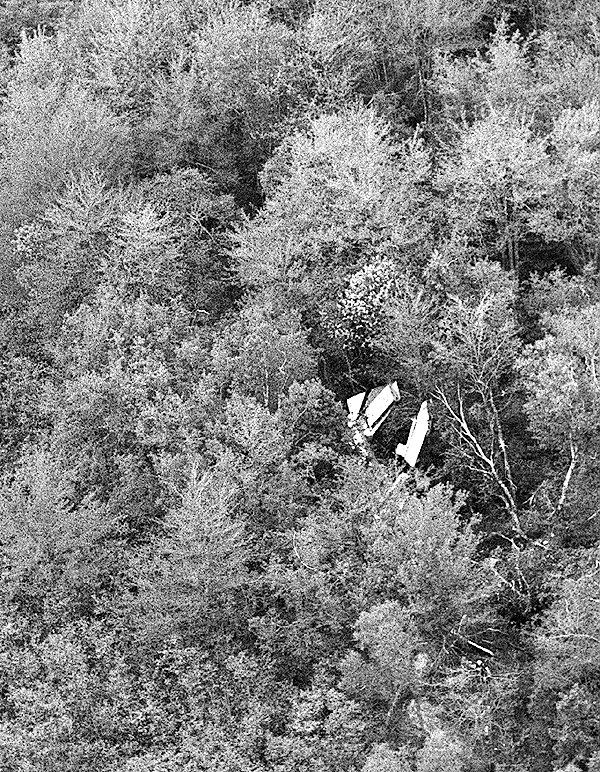 NTSB investigators stated in a report issued a year after the crash that testimony produced allegations that Downeast Airlines owner and president Robert Stenger promoted a culture that pressured pilots to land in Owls Head rather than divert flights to Augusta in poor weather conditions. Several pilots testified that Stenger held them personally responsible when things went wrong or flights were delayed or diverted. Stenger, who still lives in the Rockland area, declined to comment for this story. “It’s all in the past,” he said Friday. 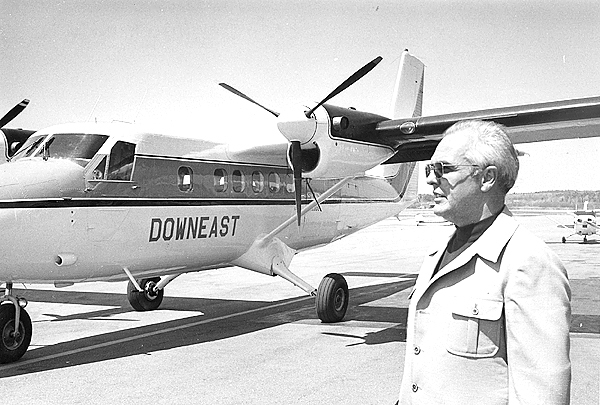 Downeast Airlines continued to operate as a charter business until Stenger sold the firm to Airport Properties in 2007. 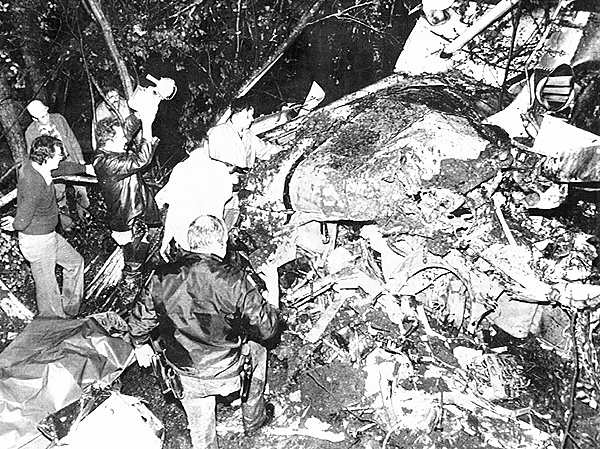 Stenger founded Downeast Airlines in the mid-1960s and at first it was easy, according to his testimony during the NTSB hearing after the crash. He would gas up the plane, load the bags and fly passengers to Boston. His wife would sell the tickets. But as the airline grew so did his problems. Essentially a pilot, Stenger was forced to manage his airline as well. Stenger admitted to investigators at the time that he made some mistakes when Downeast started to expand. With growth came the need to hire more pilots. It was the area of personnel that gave him trouble, Stenger testified. Retired Rockland Police Chief Alfred Ockenfels flew for Downeast at the time of the crash, and he recalled shuttling Stenger and airline employees back and forth to Boston to testify during the NTSB hearings. Ockenfels said Stenger may have been a taskmaster with a flinty personality, but at no time did he ever pressure him to land under risky conditions. As to pilot complaints about having to land in bad weather, Ockenfels said many of the pilots were unfamiliar with flight conditions off the coast and balked when they encountered them. There were no cell phones in those days, but many residents of Knox County tuned into police scanners and citizens band radios, and news of the crash spread quickly. People rushed to the airport. The streets of Rockland were blocked off in anticipation of a stream of ambulances headed for Penobscot Bay Medical Center in Rockport. That night, only one ambulance rushed by. In it was McCafferty. Ockenfels speculated that Merryman and Hines may have decided to fly below the 600-foot minimum altitude in hopes of catching sight of the runway and were unable to recover when they realized they were flying too low. “The only thing you can surmise is they had a case of ‘home-itis’ and wanted to get in to the airport,” Ockenfels said. McCafferty wanted to get home, too, but had a premonition he would never make it. Instead of boarding the plane through an enclosed walkway, passengers walked across the tarmac and climbed a set of steps. McCafferty said he “froze” at the foot of the steps and heard a voice within say ‘don’t get on that plane, it’s going to crash.’ It was pouring rain and the people behind him were telling him to get a move on. Which he did. The crash affected more than McCafferty and the victims and their families. Knox County Regional Airport has undergone many improvements and upgrades since the 1979 crash. The main runway was lengthened, trees surrounding the runway were removed and an Instrument Landing System, a ground-based system that allows approaching aircraft to land safely during periods of reduced visibility by the use of radio signals and lights, was installed in the mid-1990s. There have been no fatal commercial crashes at the airport since, although at least two small private planes have crashed in nearby coastal waters. McCafferty appreciates the industry’s emphasis on safety in the years since the disaster. A union pipefitter, McCafferty said he has since flown all over the country for jobs and has never been afraid to board a plane. He has an 18-year-old son and his major fear today is that his son will not enjoy the economic benefits he has because of the sour economy. Though he is grateful for his life, McCafferty said he would never forget that flight and the people who never made it home.